Billie Holiday | Take Back Halloween! 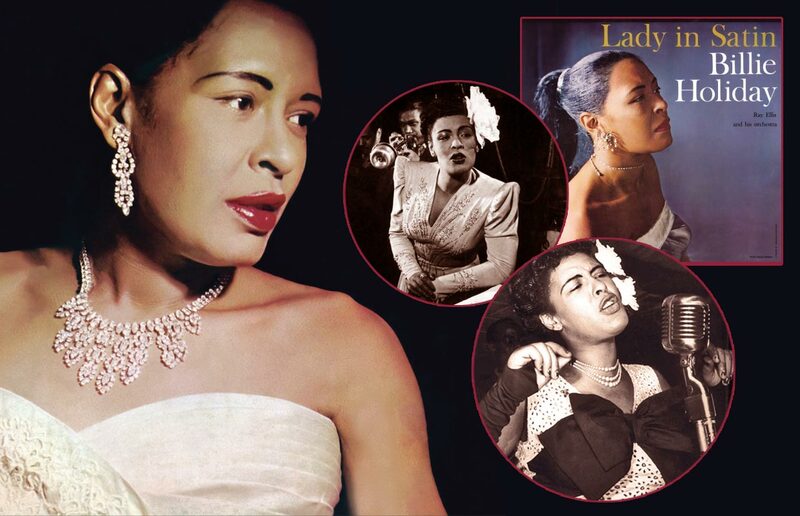 “Lady Day is unquestionably the most important influence on American popular singing in the last twenty years,” said Frank Sinatra back in 1958, and he was right. Billie Holiday (1915-1959) changed the way music was sung, and everybody who has come along since is in her debt. Billie’s life was difficult, but her style was unfailingly glamorous: evening gowns (often of white satin), opera-length gloves, a gardenia in her hair, and fabulous jewelry. We were fascinated to discover the dress at right online; it’s a vintage “Original by Rudolf” from the 1930s, and you’ll no doubt recognize it from several photos of Miss Holiday. It’s not necessarily the actual dress Billie Holiday owned, but it’s obviously the same model. 1. 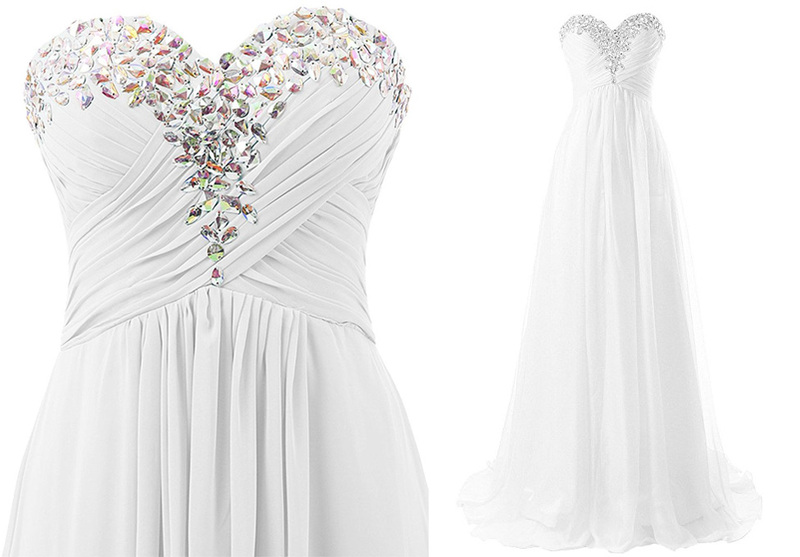 White strapless gown with crystal beading. This gorgeous dress looks like something Miss Holiday would have loved. Glamorous! 2. 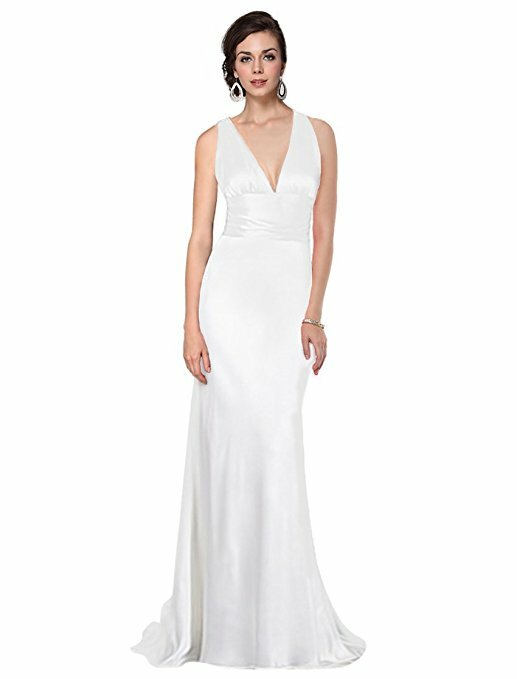 Alternate dress: white satin with halter neck. If you’d rather go with a halter neckline, this dress would work well. 3. 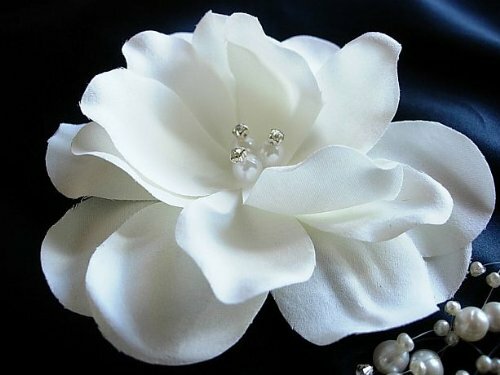 Silk gardenia hair clip with jewel centers . Lady Day’s trademark gardenia is a must for your hair. This is an especially fancy one with rhinestones centers. Sparkly! 4. 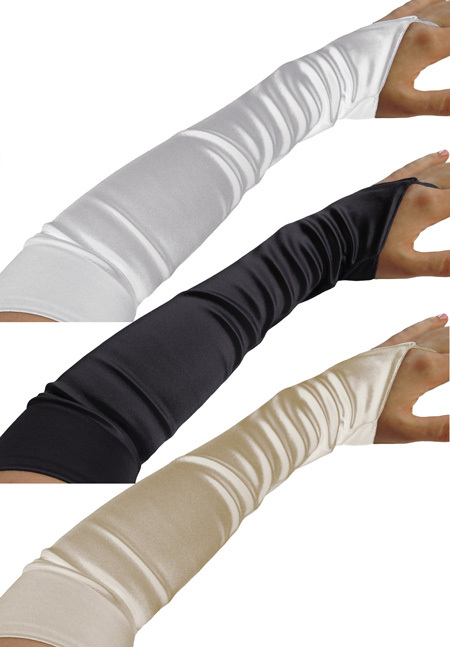 Long satin fingerless gloves . Billie Holiday was almost as famous for her gloves as for her gardenias. She liked elbow-length fingerless gloves, chosen in a shade to match her outfit. These come in a bunch of different colors; black or ivory would look particularly great with the dress in #1. 5. 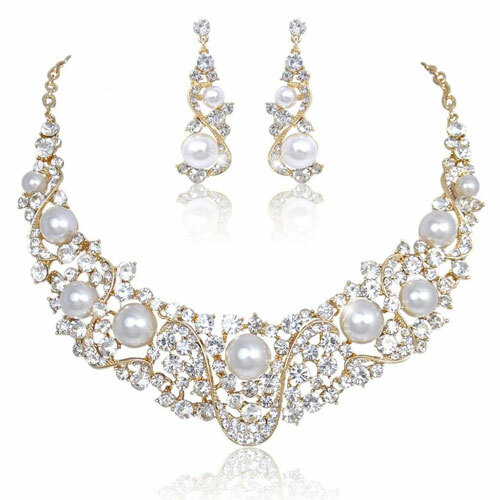 Rhinestone and faux pearl necklace and earring set. Can’t decide between diamonds and pearls? How about both? This fabulous set combines rhinestones and faux pearls in a dazzling duo. They offer this in silver tone or gold tone.